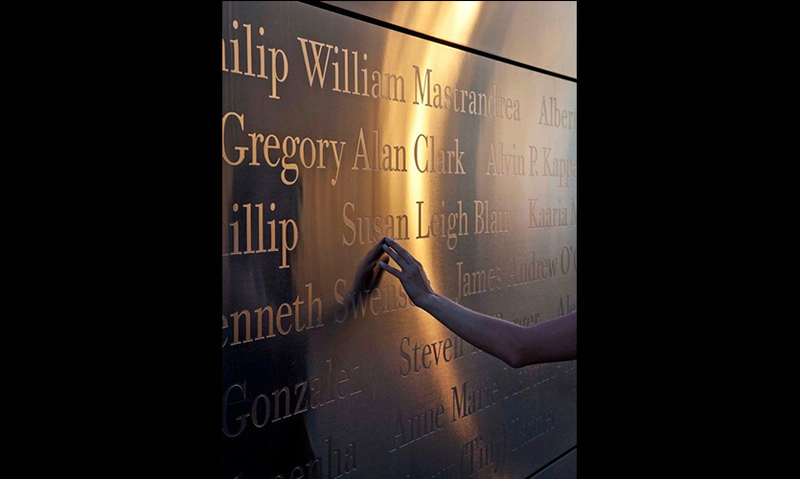 Just west of the tip of lower Manhattan and at the confluence of the Hudson River and the Atlantic Ocean, Liberty State Park played many roles in the events of September 11 and its aftermath. During the attacks, Jersey City residents and office workers gathered on the shore, witnessing the burning and collapse of the towers. Soon after, dozens of private, commercial, and Coast Guard boats shuttled evacuees from lower Manhattan to the docks at the park in the largest boatlift ever undertaken. In the following days and weeks, volunteers manned a family assistance center in the former railroad terminal on the grounds while spontaneous memorials sprung up at the water’s edge. 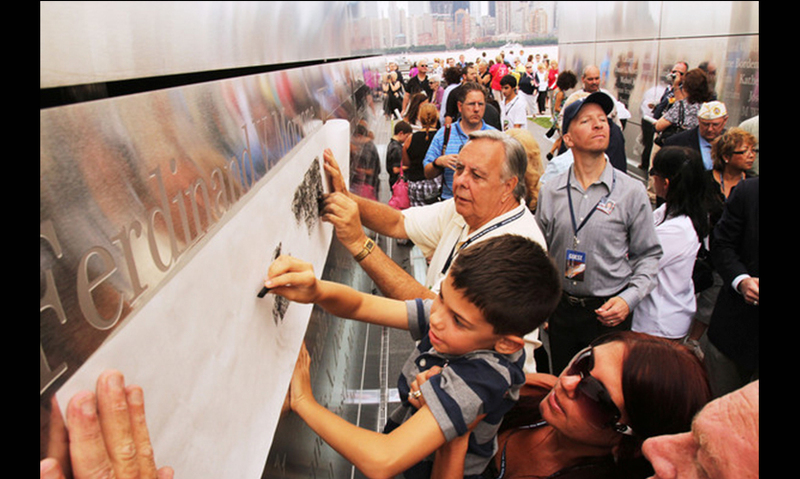 The families of the New Jersey victims of the attacks organized as the New Jersey 9/11 Memorial Foundation and chose a 2.6-acre site in the park to honor their dead. 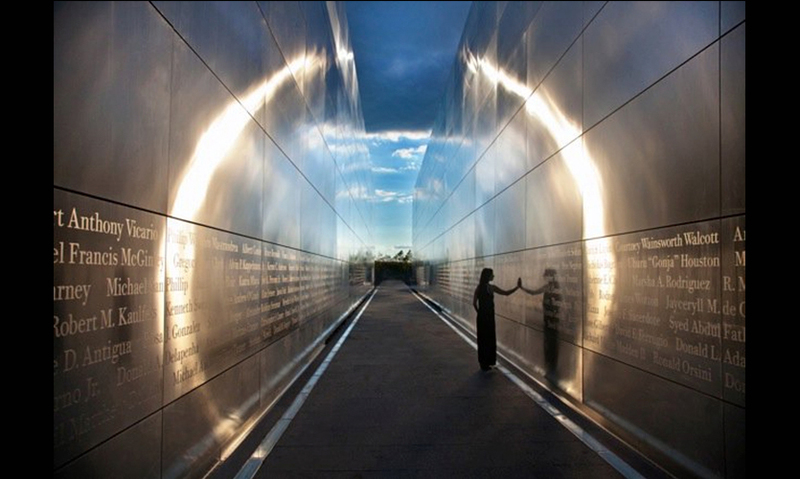 In June 2004, they selected a memorial concept called Empty Sky, designed by Jessica Jamroz and Frederic Schwartz. 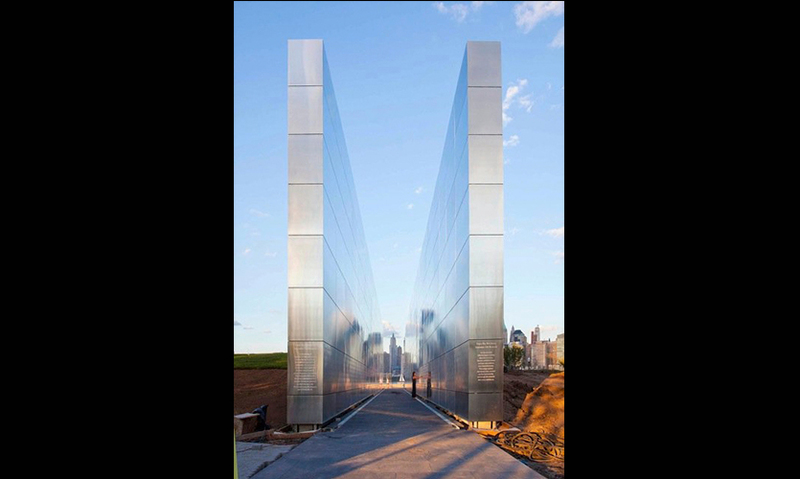 Facing the twin towers site across the Hudson River, the memorial consists of two parallel stainless steel walls, each 210 feet long by 30 feet high. 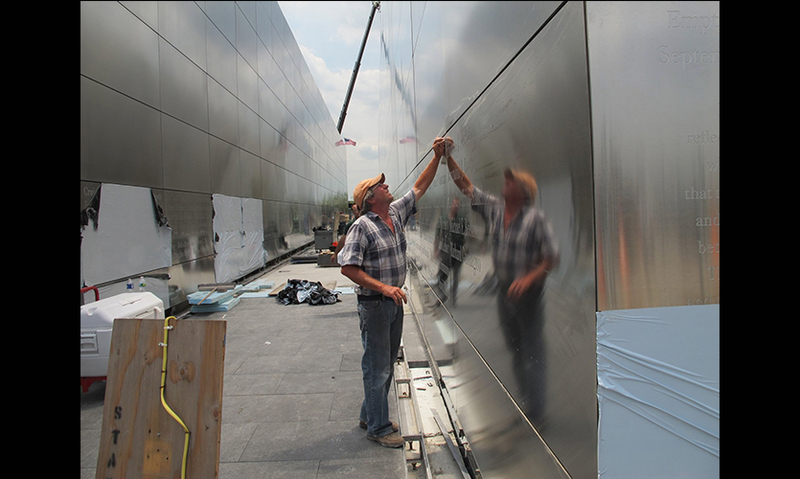 A single row of 4- by 8-ft. stainless steel panels at eye level bears the names of the 476 New Jersey victims in random order. 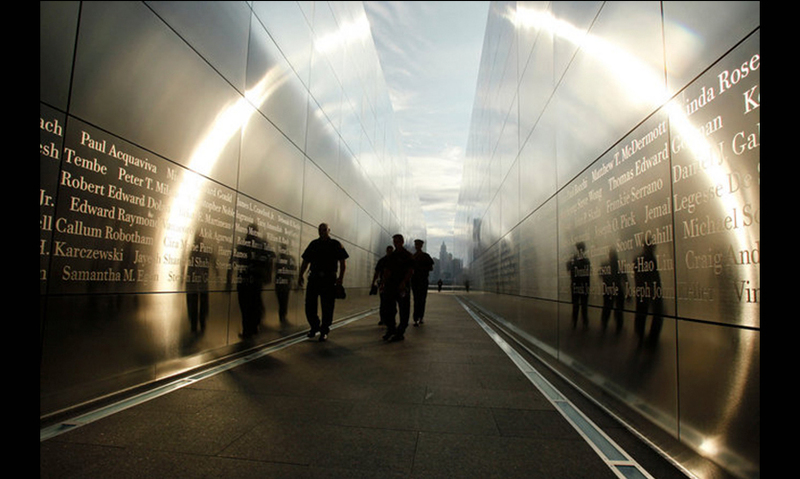 To frame the Empty Sky of its title, the corridor shaped by these walls draws the eye, like a diagrammatic one-point perspective, to the cavity in the Manhattan skyline where the twin towers once stood. 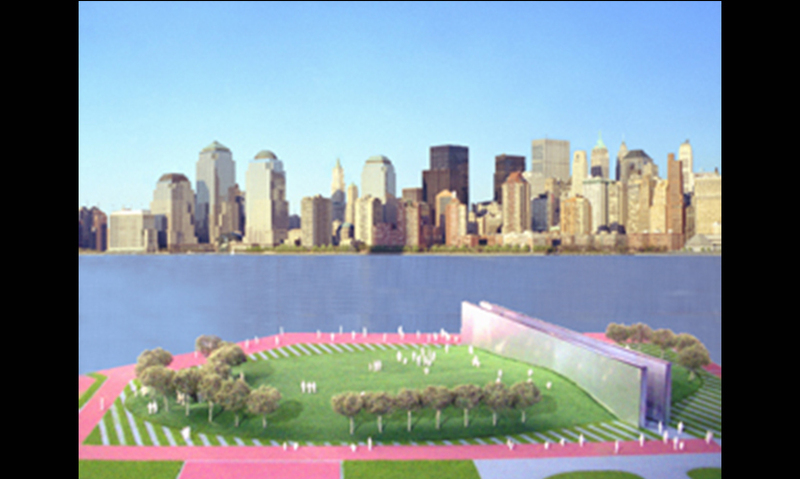 The site and its orientation toward the towers was the starting point for the design. 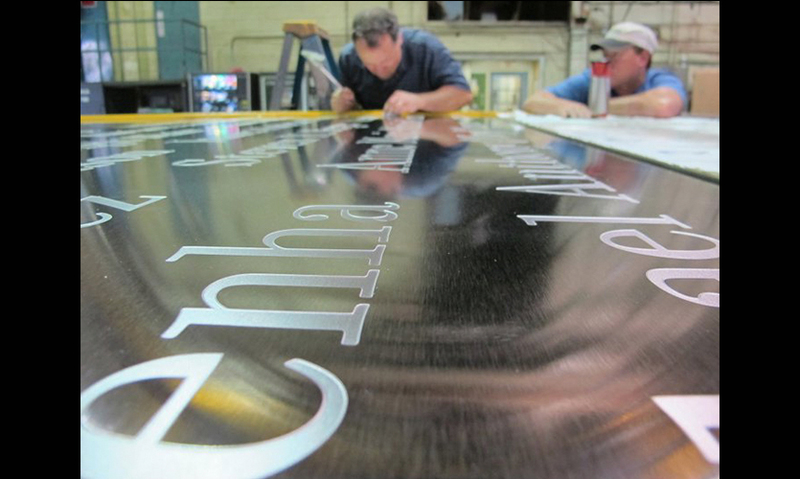 Jamroz, Schwartz, and graphic design partner Alexander Isley wanted the names on the memorial to be as large as possible. At a final cap height of 3.6 inches, they may be the largest found on a civilian memorial. Isley chose ITC Bodoni 12 for its powerful verticals and rounded serifs, its ability to soften the cool stainless steel, and its contrast and readability for charcoal rubbings. 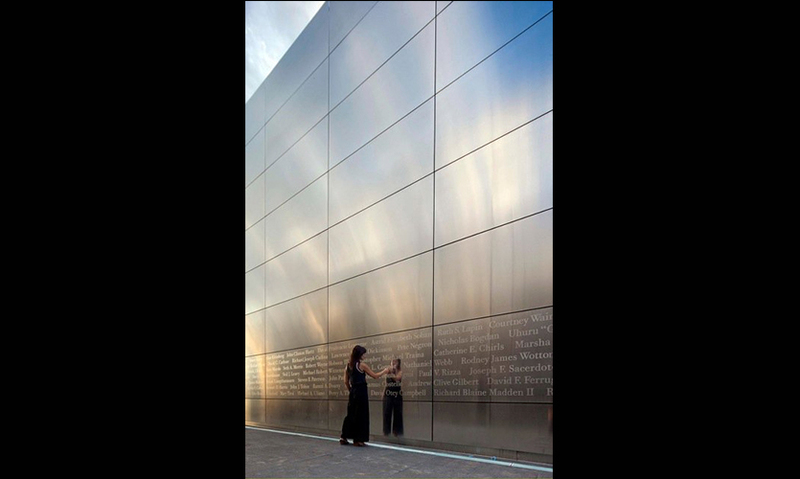 At dusk and at dawn, the memorial is illuminated by a dramatic halo of light that touches each name, elevating the walls from a study in grays to a sacred interplay of light. "In a world of dysfunction, distraction, and distance, the dilemma of how to remember and inspire is near to impossible. And to cut through religion, race, age, and agenda makes it nearly futile. Yet this courageous monument solves all of this with ease and leaves us touched, curious, and hopeful."